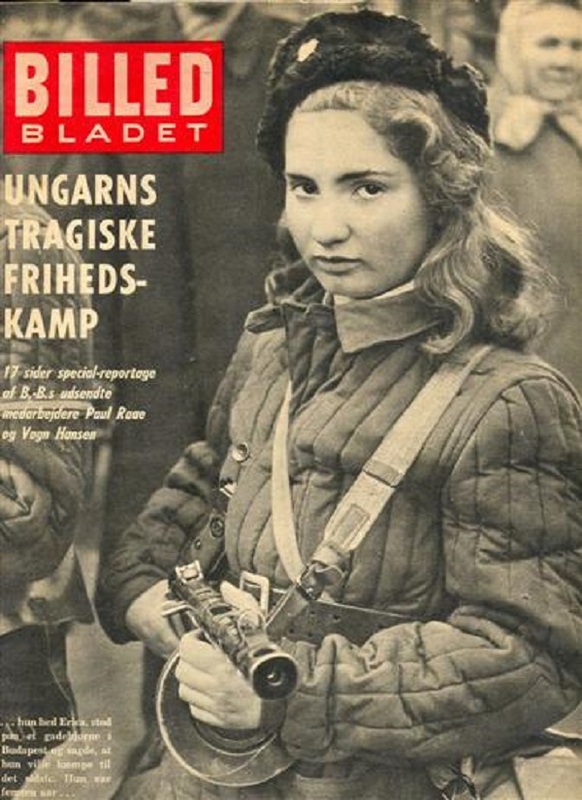 Danish journal Billed Bladet published a very special cover page on 13th of November 1956. 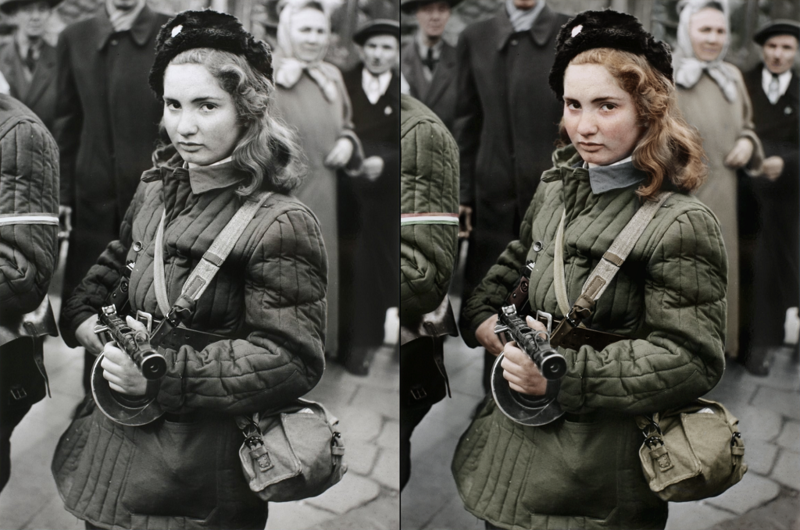 It depicted a red-hair freckled girl in cotton-wool coat, holding a Russian-made sub-machine gun in her hands on the streets of Budapest. 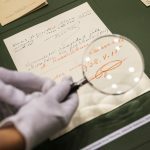 The picture, that soon became a symbol of the Hungarian revolution, had spread quickly in international media, however, foreigner readers could not possibly know that the young Hungarian girl was already dead by that time. The name of the girl was Erika Szeles. She was born in 1941. She lived in the 13th district of Budapest with her mother, who raised her daughter by her own after her husband died in the Second World War. Erika studied to become a cook, she worked at hotel “Béke szálló” when the revolution broke out. She was inspired by her boyfriend to join a group of Hungarian freedom-fighters and worked as a Red Cross nurse to help the injured. Erika was shot in her neck by a Soviet soldier on 7th of November 1956, when the revolution was already suppressed.